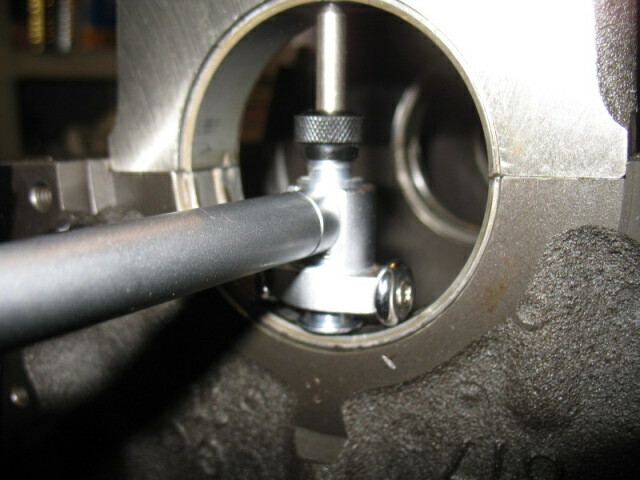 The obvious answer is to measure the main journal on the crank, and measure the diameter of the main bearing, and subtract. Not so fast. The problem with that method is that you're using two tools to do the different measurements, and there is no way to know what the error was in measuring each. The textbook measurement for the main journals on a SBC 400 is 2.6500". Let's say you measure 2.6500 on the journal with the outside micrometer, and 2.6525 with a dial bore gauge on the bearing. That sounds like you've got 0.0025 clearance, right? Wrong. 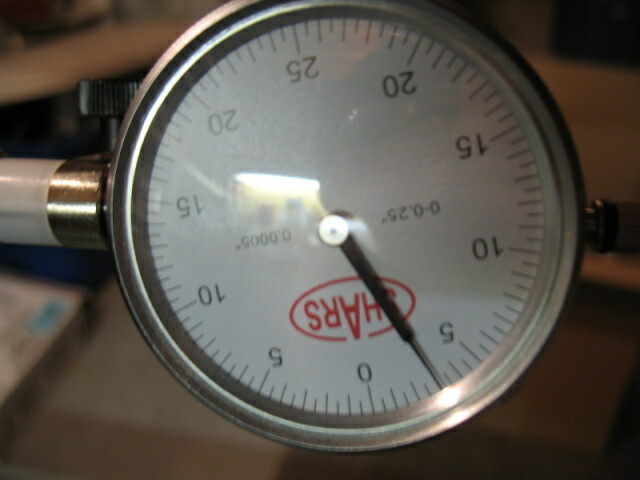 Let's say the error rating on the micrometer and on the bore gauge was +/- 0.0005. That means the journal could have really been 2.6505 to 2.6495, and the bearing could have been 2.6530 to 2.6520. Taking the worst pairs, 2.6505 - 2.6520 = .0015 and 2.6495 - 2.6530 = .0035, so your clearance is really somewhere between 0.0015 and 0.0035 once you figure in the potential error. That's a pretty wide range for the tolerances you need to check. How do you get around that without spending a fortune on more accurate measuring tools? 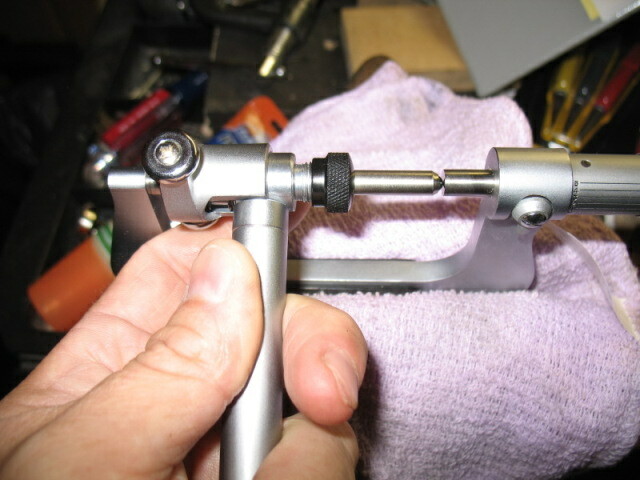 Easy, always use the same tool to measure with and you eliminate half of the error uncertainty. 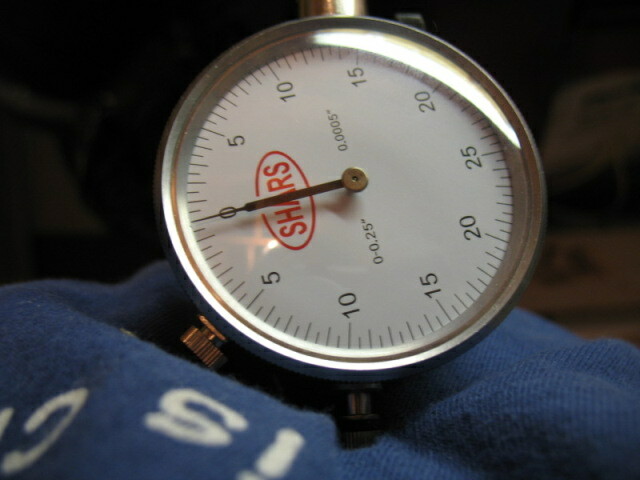 The basic idea is to measure the journal with the outside micrometer, then zero the bore gauge inside the micrometer, then use the bore gauge to measure the bearing. The actual measurement doesn't matter, you end up seeing only the difference in the measurements, which is the clearance measurement you wanted to check in the first place. 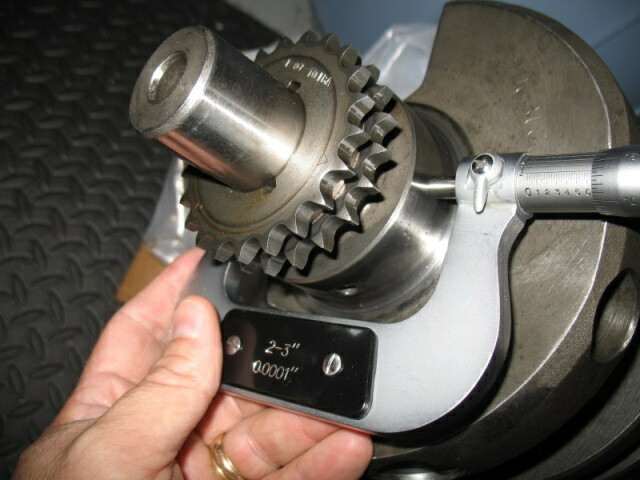 Going through the steps, measure the crankshaft journal with the micrometer, zero the bore gauge against the micrometer, and then measure and get .0025 (+/- .0005 error) which means your actual measurement is between .0020 and .0030. Much better than the previous method. When using this method, you must be sure to measure each journal and re-zero the bore gauge before measuring the corresponding bearing. Measure the #1 journal, zero the bore gauge, use the bore gauge to measure the #1 bearing, measure the #2 journal, zero the bore gauge, use the bore gauge to measure the #2 bearing, etc. To get an accurate measurement of the bearing diameter, make sure the bearings are installed properly in their correct location, and the bolts are tightened to the final assembly torque specifications.